Do you want to get your first tattoo? Are you unsure where to start? 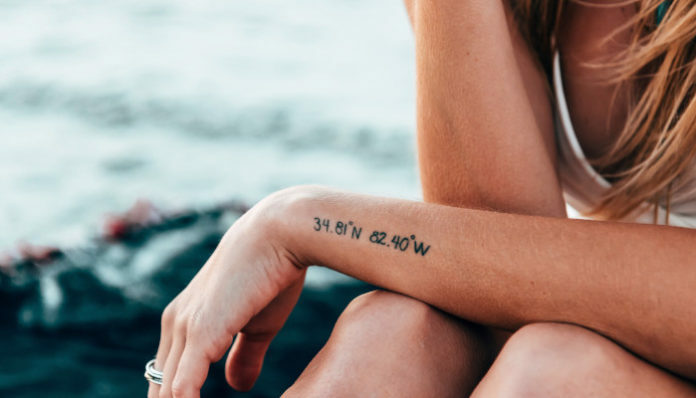 This guide will help you know what to expect and ensure that you’re satisfied with your first tattoo parlor experience. When you select the design that you want inked on your skin, it’s important to take your time. Is there a symbol, image, or phrase that’s meaningful to you? Do you have an inspiration or someone that motivates you to do well? Is there a piece of art that speaks the truth about your life or personality? Tattoos are a form of self-expression, so it’s important that the design you select truly reflects you. Also, don’t let someone else decide what design will look good on you. Getting inked is a personal decision. Do not let anyone influence your design choice unless you’ve specifically asked them to help. You don’t want to regret this lifelong decision later, so take your time, and pick a tattoo that’s meaningful to you. Finding the best tattoo shop for you is also a major part of the process. Sure, there are so many cheap artists out there, but your tattoos live on your skin forever. Therefore, always consider quality over cost. When you select an artist, find one who matches your personality and whose style fits your design. Be sure to research the shops you’re considering, read online reviews, and consider the artist’s typical clientele. Also, be sure to ask questions you may have. Any professional body artist should be willing to answer your questions and help you feel comfortable with the process before it begins. The process starts with design selection. If you want a unique or custom design, talk to your artist in advance. Most professional artists are happy to work with you on creating a design that you’re happy with before it’s inked onto your body. Then, consider where the tattoo will be placed. How much space will the design need? Do you want your tattoo in a highly visible area or a more private spot? It’s important to decide on these important factors before getting too far into the tattoo process. After determining your design, location, and artist, it’s time to head to the shop and get your tattoo! Your artist will prepare the area and equipment first; then they will clean and sterilize your skin. They will place an outline of the design on your skin, which is basically a stencil for the artist to follow. Then, the artist will start the “real” work: inking the design on your skin. The entire process will take anywhere from 30 minutes to a few hours, depending on the size and complexity of the design. Be prepared to sit for a while, and get comfortable while your artist works away. There are several things you can do to deal with the pain and fear of getting a tattoo for the first time. One of the simplest ways to handle the stress is to take breaks every hour. Drink water, check social media, or stretch out. Do anything that distracts you and provides momentary relief from the pain. Also, breathe deeply to stay calm during the process. Consider bringing some music to listen to or a friend to distract you from the pain and the needle’s buzzing. Any small diversion can help manage your fear. Take aftercare seriously because healing your tattoo is extremely important. Cover the new tattoo with a bandage, then remove it after a day. Wash your tattoo using gentle soap and water several times per day. Dry your skin before applying antimicrobial ointment. Apply moisturizer after cleaning to keep the area moist and cool. Continue this process for up to four weeks, depending on the design. Don’t swim for two weeks after you get your tattoo. Don’t worry if the tattoo develops a hard layer. Do not pick, peel or scratch it. Otherwise, you might create an infection. See a doctor if you tattoo develops an infection or is not healing properly. Certain practices can help keep your tattoo fresh for years. For one, follow the aftercare instructions closely. Aside from that, keep your tattoo protected from UV rays and direct sunlight. Also, moisturize daily to keep your skin elastic and hydrated. Getting your first tattoo can be a frightening (but exciting) process. If you choose a design you really connect with and follow these tips, you’ll have a wonderful experience and ink that will last a lifetime. Best of luck on your initial inking adventure!